Since launching the Hyperledger Project, IBM has elevated its blockchain focus to align it with its cloud business and its activities in artificial intelligence and IoT architectures. Indeed, the company has initiated more than 400 customer projects involving blockchain technology and it’s involved in some high profile work in the post-trade derivatives processing space with the Depositary Trust & Clearing Corp., automating trade finance with a consortium of European banks, improving logistics with Maersk and advancing food safety initiatives with a consortium led by Walmart. Since IBM threw its hat into the blockchain ring, a few similarly-sized global IT vendors have also begun to set out their visions with regards to blockchains and most of that activity has been taking place this year. Among the IT heavyweights, blockchain progress has been slow, but now some tangible momentum is building. Here’s a roundup of activity to date from vendors that IBM might think of as its peers. 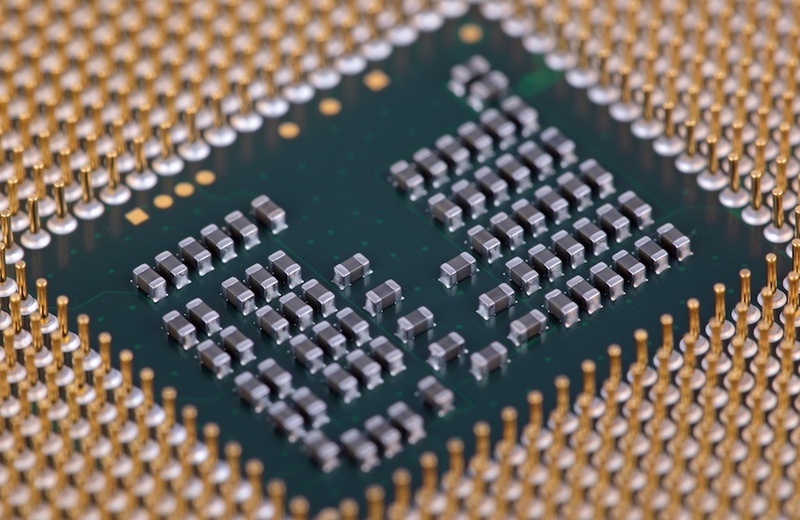 Intel has been working with blockchain technology in a number of ways for some time, in order to understand the technology and especially how it can produce microprocessors that take advantage of it. As part of its mission to get “Intel inside,” the company is a member of the Enterprise Ethereum Alliance (EEA) and Hyperledger and recently invested in R3. It is also a partner of IC3 — the Initiative For Cryptocurrencies & Contracts — an academic group that is researching blockchain solutions for the financial industry. Under the auspices of Hyperledger, the company open-sourced its Sawtooth Lake blockchain (under development since 2014), which is targeted at testing scalability. One result of its Hyperledger membership is its work with Monax Industries to bridge Ethereum’s virtual machine (its smart contracts layer) and Hyperledger Sawtooth (as the open source project is officially known). Hyperledger Sawtooth has been tested by Intel for a number of applications. Intel worked with R3 on a bond trading proof-of-concept (PoC) involving eight banks. It also created its own supply chain PoC, focusing on tracking fish from catch to restaurant and worked on a music industry project designed to identify content creators and rights holders. It has also developed Intel Software Guard Extensions (SGX) technology — built into its latest processors — for developers who are seeking to protect select code and data from disclosure or modification by rogue processes, such as malware. SGX is being tested by IC3 and R3 in order to provide a safe environment for execution of blockchain-based smart contract code and it is also being leveraged by Microsoft for its CoCo Framework. Moreover, PokitDok, a startup focused on healthcare, is incorporating both Sawtooth Lake and SGX into its solution to increase performance and keep data private. Microsoft’s approach to blockchain technology has some similarities to IBM’s, though it is currently a little more tactical than IBM’s strategic approach. Like IBM, Microsoft sees a future that is cloud centric. It has invested heavily in its Azure cloud platform and is transforming many of its offerings to be cloud delivered. In that respect, it has introduced its Blockchain as a Service, which allows a number of blockchain platforms from different vendors to be hosted on Azure. One offering that it is developing under the Project Bletchley banner is a set of middleware components to allow blockchains to interact with non-blockchain systems and data stores. This integration capability — which Microsoft calls Cryptlets — is key to the rollout of pilot ad production blockchain applications and, unsurprisingly, is proving to be complex and costly to achieve. While Microsoft has not built its own blockchain platform, it has created its CoCo (Confidential Consortium) Framework for implementing enterprise-scale blockchain-based application. Microsoft plans to open source CoCo in the future, and has designed it to work with a range of blockchain platforms, including Ethereum, Quorum and R3’s Corda. By making use of its own consensus mechanism designed for private blockchains, Microsoft has already demonstrated performance as high as 1,700 transactions per second. While CoCo is blockchain agnostic, to date Microsoft has tended to focus on the Ethereum space. It is a founding member of the EEA and works closely with companies like ConsenSys and BlockApps. It has also added support for Ethereum’s Solidity smart contract language to its Visual Studio development environment. Microsoft is also working on an Ethereum-based solution dubbed Project Manifest to improve the efficiency of supply chains across different industries. To begin with, it is integrating IoT sensors that are attached to shipments of goods to pinpoint the location of them (and characteristics about the environment in which they are kept, such as temperature and humidity) for recording in a blockchain. This insight into provenance of goods in a supply chain is important on many levels, and can automatically drive administrative processes. Enterprise software giant SAP began to get publicly involved in blockchain in 2016, adopting somewhat of a bottom-up approach with some tire kicking within its innovation labs. By mid-year it had collaborated with blockchain startup Ripple on a cross-border payments proof-of-concept to transmit funds between ATB Financial in Canada and ReiseBank in Germany. Toward the end of last year, interest in blockchains within the company had grown and its c-suite marked it as a key technology to leverage. Earlier this year, SAP joined the Hyperledger Project as a premier member. Blockchain technology is being positioned as one element of SAP’s Leonardo offering, which is seeking to integrate artificial intelligence, IoT, big data and blockchain technologies into a cloud-delivered integrated offering. If this sounds like an IBM “me too” move that’s because it is, at least to some extent. However, one important feature of SAP’s cloud platform is that it can be deployed not just within its own data centers, but also on public clouds from the likes of Amazon AWS, Microsoft’s Azure and Google. That’s a level of functionality and flexibility that IBM’s Bluemix cloud offering does not match. Leonardo is in its early stages but the platform is surely a strategic initiative for SAP, much as its HANA in-memory database was. In the meantime, some stealth projects have also emerged, such as www.truerec.io (based on Ethereum). Alongside SAP’s corporate blockchain developments, its Ariba unit, which runs a global procurement network, has announced that it plans to leverage blockchain technology to add goods provenance and trade finance functions to its proprietary network. It has partnered with Everledger, Hijro and TradeIX in this regard.